Readers can click the button to view the source comparison. 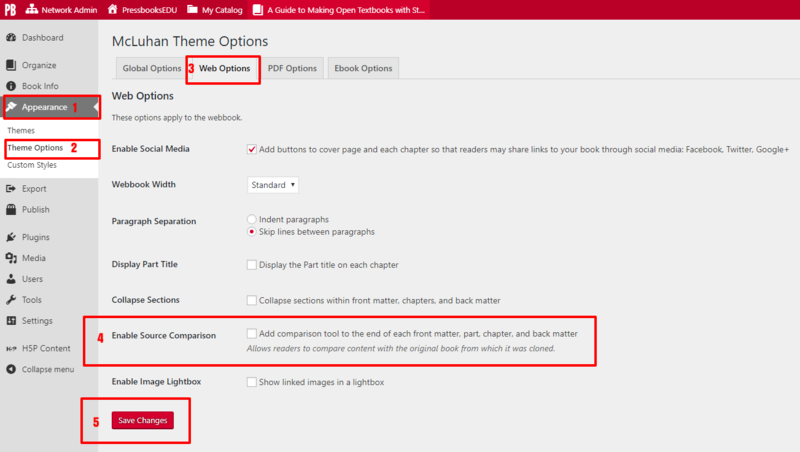 The text will then appear above the footer of the webbook chapter and display in HTML form. The source book text appears on the left and the clone book text appears on the right. 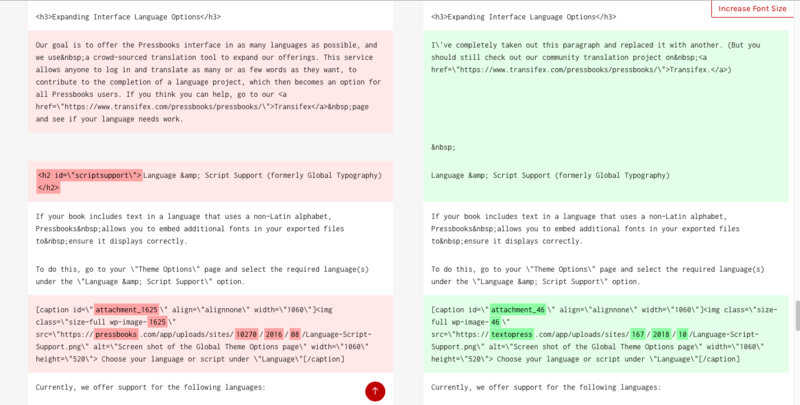 Any differences are highlighted; modified sections are set in red in the source text and green in the cloned text. Additionally, deleted text will appear in a bolder red in the source book and added text in bolder green. The source comparison will show differences in markup as well as differences in front-facing content. For example, if the source book had headings tagged as Heading 1, but the new book had chosen to retag those headings as Heading 2s, this change will be evident in the source comparison. Readers can see the number of additions and deletions at the top of the source comparison section, then scroll down to see where changes appear.